No Obligation. No Hassle. No Cost to You. Trade in your current boat and cruise into the new season with the latest dream boat! We pride ourselves in providing the safest, fastest, and easiest way to sell your boat. Find out your boat’s worth and have access to our large new and pre-owned boat inventory! We buy boats and trailers regardless of condition, and we will even buy your boat if it has a loan on it or has an out-of-state title. Simply complete the form below and we’ll get back to you with your boat’s trade-in value in a snap! 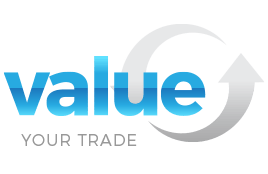 It’s never been easier to know what your trade in is worth! Complete the form below and get a valuable trade in appraisal fast and free! Please tell us the YEAR, MAKE and MODEL of your BOAT, MOTOR and TRAILER.